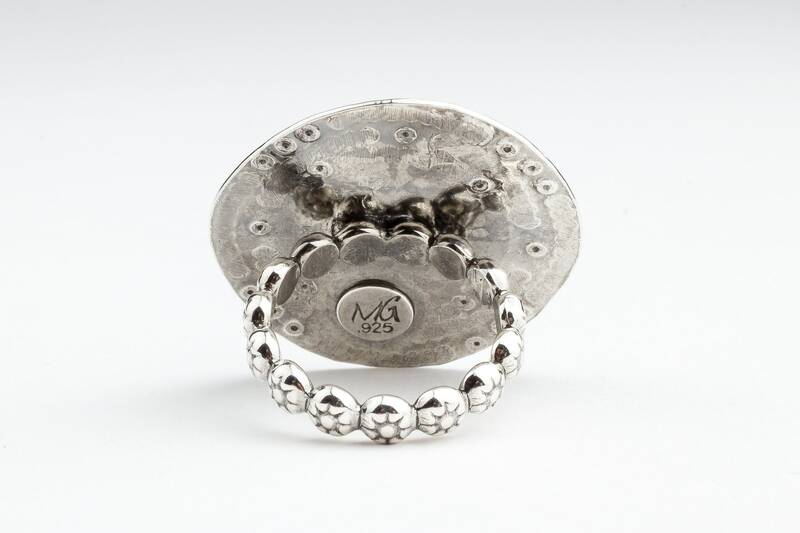 This gorgeous ring has been handcrafted from solid Sterling Silver that I hand-stamped. 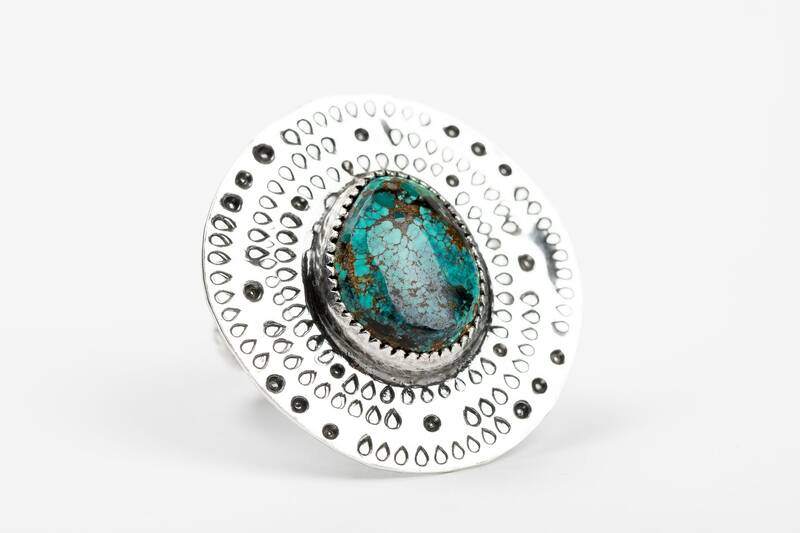 The ring features a beautiful natural aqua blue Emerald Ridge Turquoise gemstone edged by a hand-stamped border. 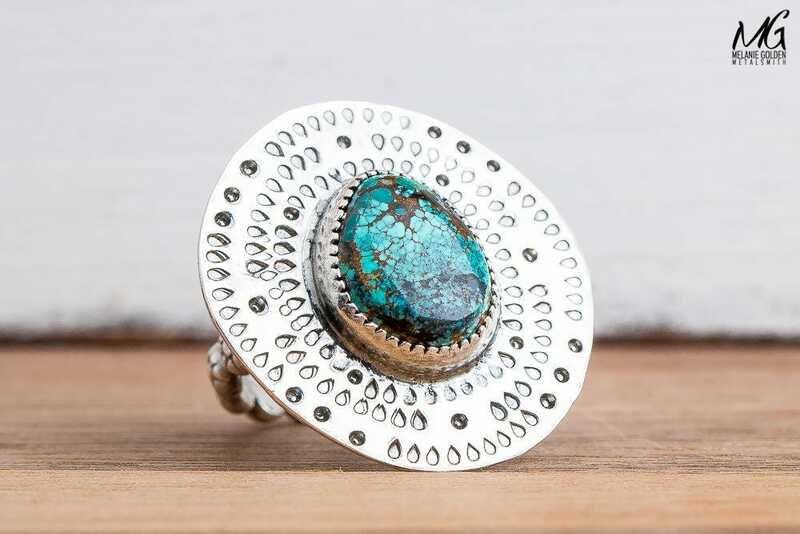 - Ring is size 7. 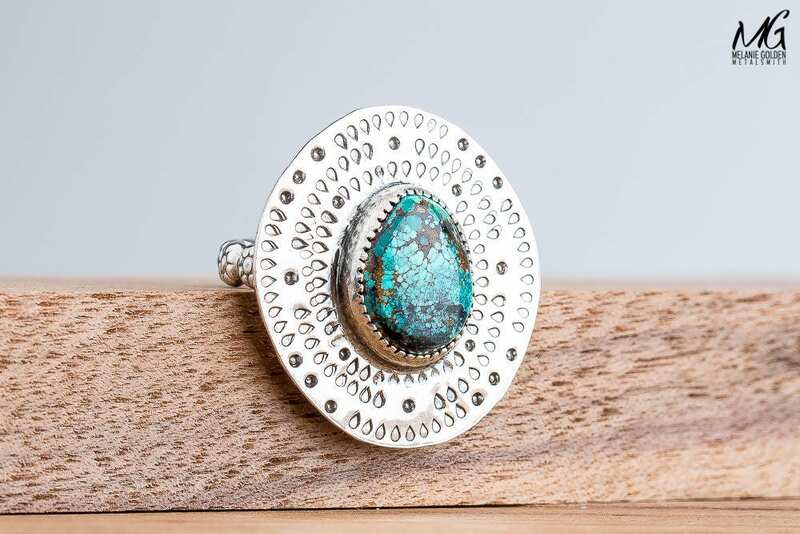 - Turquoise measures 12mm x 15mm. 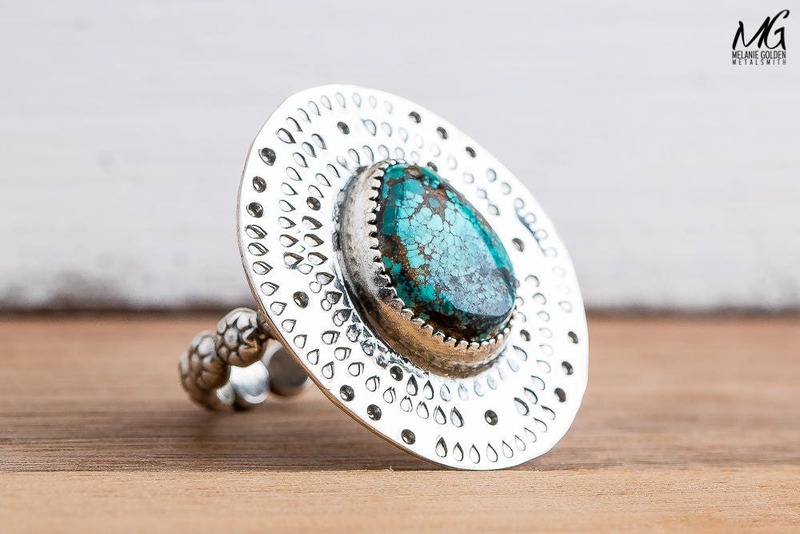 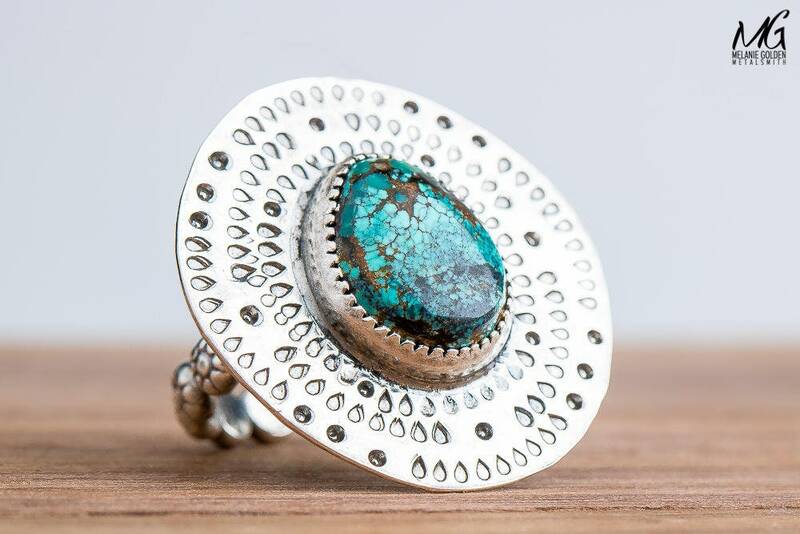 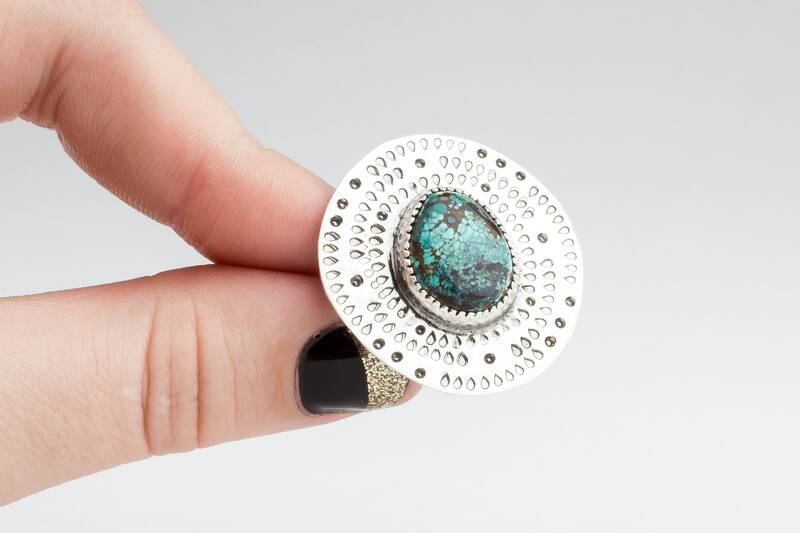 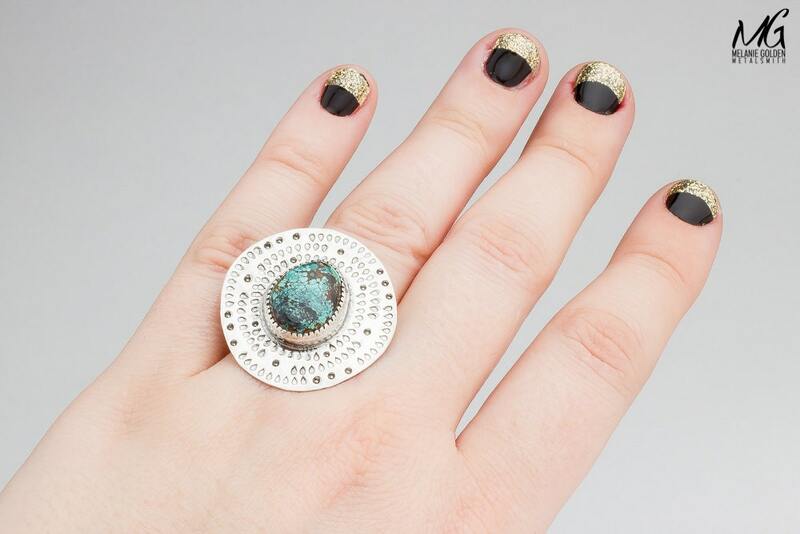 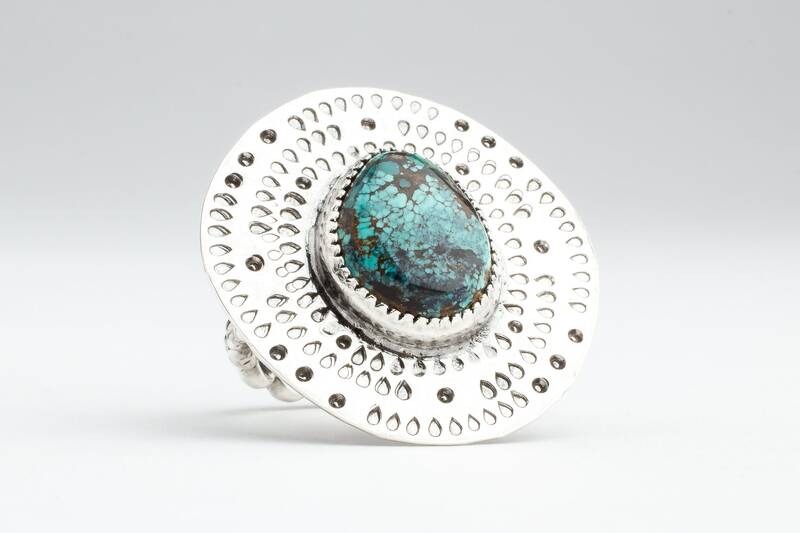 - Ring is made entirely from solid Sterling Silver and a natural Emerald Ridge Turquoise gemstone.